Asphalt shingles have been the most popular roofing material in North America for decades. They are installed on homes coast-to-coast, and homeowners across the country have trusted them to protect their homes! If you are interested in learning more about why asphalt shingles have been such a popular roofing material, take a look at our blog for more information. One of the major benefits of asphalt shingles is that they are a highly customizable siding option. Due to their widespread installation on North American homes, there is a large number of manufacturers producing them. 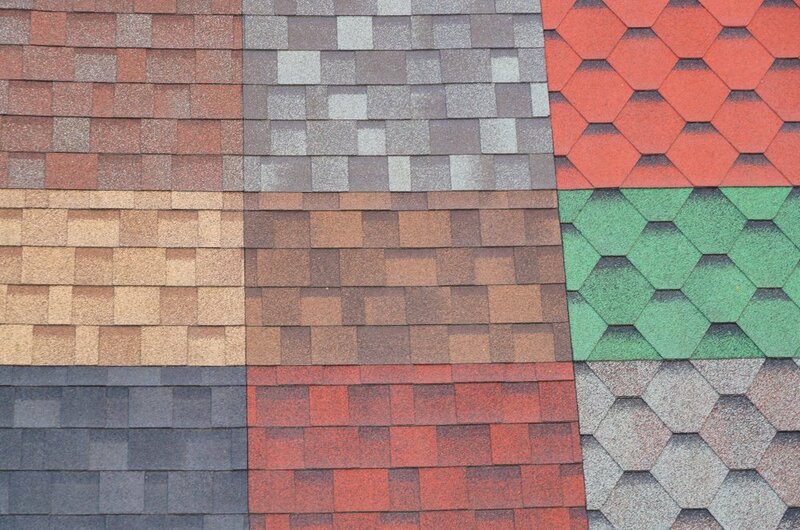 With so many companies creating asphalt shingles, they are available in an enormous variety of style, color, and texture options, making them the perfect roofing option if you have a particular aesthetic vision for your home! If you are interested in replacing your roof on a budget, asphalt shingles are a fantastic option. They are inexpensive to manufacture, and easy to install which makes them a low cost roofing option. Asphalt shingles are durable, with resistance to both wind and fire. Most asphalt shingles are designed to withstand a minimum of 110mph winds, which makes them a fantastic option for the windy Maine coast. Asphalt shingles are also fire resistant, which makes them an equally useful option in arid climates, and offers homes protection in case of a disaster. Asphalt shingles are preferred by many contractors for their ease of installation. If you can find a contractor that knows how to install any kind of roofing material, they likely know how to install asphalt shingles. Between having a simpler installation process than metal, and being far lighter and less brittle than slate, asphalt shingles are one of the easiest roofing materials to install, which makes them a favorite option among homeowners and contractors alike. While they don’t have quite as much longevity as metal or slate roofing, which can last for over a century, asphalt shingles are more durable than they get credit for. The average asphalt shingle roof lasts 20-30 years, but with proper installation, maintenance, and high quality materials, it is possible for an asphalt shingle roof to last for half a century. Using high-quality shingles makes a world of difference when it comes to your asphalt roof’s longevity, but asphalt shingles are far more durable than they get credit for. If you are interested in learning more about asphalt shingles, or perhaps replacing your home’s asphalt shingle roof, reach out to our team today for more information. We can be reached over the phone at (207) 310-7659 or by filling out our online contact form! We look forward to hearing from you!